As a child, I used to really love Queen. I listened to their Greatest Hits on repeat and their music represented a wide range of bombastic and theatrical songs. (I remember being shocked that in ‘Bicycle Race’ Freddie says that he doesn’t like Star Wars – that was a big insult against childhood Matt Hoss). I didn’t know that much about Queen other than the basics. But as I grew to a teenager I got into metal and hard rock and I grew a disdain for Queen. Why? I suppose I considered them a pop band and a teenager, I assumed that they were boring. I couldn’t be further from the truth. Admitting to this makes me a little bashful, because it was ignorant and I had not yet scratched the surface. In The last 6 months, I rediscovered my love for Queen, and it has struck harder than ever before; I dug deep and found out about the hidden world, and it blew my mind. In recent months, my whole life has revolved around my love for Queen. I would crowbar them into every conversation; I’ve introduced Freddie-isms into my stand-up (I’m like a budget John Robins). In one date, I even talked about Brian May’s Guitar Technique for 10 solid minutes – it was the best date I’ve ever been on (Note to everyone: you should never “Be Yourself” or else this kind of stuff happens). With a whole new perspective of this legendary band, I saw their technical prowess, their experimental albums and every deep cut. I listened to all of their albums and have compiled this list of my favourite Queen albums in order. This list may help people figure out where to start with Queen, give some hot takes and it stops me from shouting John Deacon facts at my friends/bored dates/random people in the street who are tired of hearing about Queen from me. So here is their entire studio discography in chronological order and my opinions on all of them. Queen’s debut album is really good and an interesting album. I feel that with many of the songs, they are seeds of what is to come; there are so many genres and different types of music. For example you have hard rock from Keep Yourself Alive, softer, melodic songs from Doing Alright. And on top of that you have some Prog rock as well in a lot of fantastical songs of the album. They show a beautiful range of rock and then snap into pop. It’s enchanting. I like the prog songs, however there is something which makes me want to skip over them. They are technically good but I feel that I never want to listen to them per se - however it’s always enjoyable when I listen to them. On the flip side, they conclude the album with a short instrumental of Seven Seas Of Rhye, which leaves you thirsty for more. But it doesn’t hit the legendary heights of the other albums, but as a first album, it’s an amazing place to start. For a debut it’s really good! 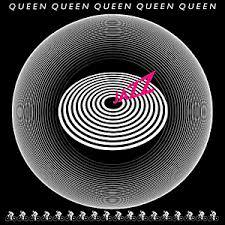 A good Queen album, and experimentally very different. It is a full prog-rock album. It really kind of made me laugh when the legendary band which created songs like, Don’t Stop Me Now and Good Old Fashioned Lover Boy created songs like Ogre Battle. So there isn’t much range within the album itself, but it’s pretty nice scope for the entirety of Queen’s discography; it’s an contained and wondrous album. I feel this album is overall pretty good, but it’s not one I regularly return to. It’s not as gripping as others. That being said, Seven Seas Of Rhye is one my favourite songs in the world. Amazing tune. Wow. Sheer Heart Attack is probably my favourite Queen’s album and certainly has some of their biggest rock numbers on here. This was the album, that truly blew my mind to Queen. You have some big tunes like Killer Queen, but all of the album tracks are gold, particularly Misfire, which is SO UNDERRATED. I think I love it because it’s a treasure trove of amazing rock tracks. It starts perfectly and ends perfectly. Plus they have the perfect amount of EVERYTHING. A little prog, a little hard rock, a medley, some slower songs and some stadium songs. It’s a massive departure from it’s predecessor Queen 2 and it sounds like perfectly like the iconic Queen sounds. The only downside is that the songs are in the second half of the album jump in tone a lot: Stone Cold Crazy into Dear Friends is enough to give you whiplash. The album ends with a magnificent In The Lap Of The Gods Revisited and it is magnificent and a perfect end to a legendary album. This is the album which transcended Queen into rock gods – and for very good reason. Yes you have Bohemian Rhapsody and You’re My Best Friend but the album is SO MUCH MORE THAN THAT. You have a great mixture of talents and sounds which culminate in a beautiful coherent and touching album. Plus you have songs like The Prophet’s Song, (which is not one I regularly listen to), but the amount of vocal tracks and the genuinely impressive mixing sounds so angelic. It’s an audible feast. I’m not sure if this is apparent, but I think I subconsciously dislike more of Roger Taylor’s contribution more than other songs. However in this case, it is very conscious – I really hate I’m In Love With My Car, it’s contains some of the worst lyrics in the world. Lyrics that me cringe very hard are “Told my girl I'll have to forget her Rather buy me a new carburettor”. I mean, just **** off. There are songs which juxtapose others, but this is the right balance on this album. From Death On Two Legs, an intimidating rock song into Lazing On A Sunday Afternoon (a cheeky and promiscuous song), it somehow works. All and all, one of the all-time greats. This is prime Queen. You get a smorgasbord of different queen elements. Hard rock, ballads and the most majestic of songs. These songs contain some of the best of the best Queen like Tie Your Mother Down and The Millionaire Waltz. I love this album a lot. That being said, there are a few quibbles with it. I think some of the songs do go on for a little bit too long, and think their slower songs lose gravitas and poignancy because of this. You Take My Breath Away, really breaks the pace following the pageantry of the Tie Your Mother Down. Quality Queen and one which has a nice balance on massive tunes and the greatest deep cuts. When I initially listened to this album, I didn’t rate this too highly. However I re-listened to each album, and I discovered so much more about each album (and in some cases, I had overhyped certain songs). However the one with a biggest change was after the second listen of News Of The World. Structurally, it’s an interesting album. This is because you start of the album with two legendary and theatrically big songs We Will Rock You and We Are The Champions. Speaking not of their legacy for a moment, this is such a breath-taking way to start an album, with two grandiose songs which were written to appease stadium crowds (bear in mind that both of these songs concluded their Career-defining moment at Live Aid 1985. So the album starts off strong, to put it mildly. Then here are where things get interesting. For most of the rest of the album, they are no big hits, however there are some insanely impeccable deep cuts. Perhaps on the first listening I switched off, but you really get incredible hidden gems. Sheer Heart Attack, Spread Your Wings, Who Needs You and loads more. They are deceptively amazing, and really gives such a desirable mixture of Queen. It’s like Queen are saying: “Ok, here are the hits at the top of album, but why don’t you stay for the next 9 songs and we’re really going to impress you”. There is big flaw: there is one noticeable awful song on the album – “Get Down, Make Love”. Queen do have some infamously bad lyrics (on occasion), however I feel that this song is the curdled cream of the crop. It doesn’t go anywhere and the lack of quality sticks out in comparison to the others on the album. Maybe I’m being unfair, but still it’s a lull in an otherwise brilliant album. A problematic album. I went into most of these albums completely blind, with no idea what the general vibe or public perception was to Queen’s albums. I don’t tend to look out the track listings, but with from the look of the album it looks promising: Fat Bottomed Girls, Bicycle Race and Don’t Stop Me Now. I assumed I was in safe hands. However, the album opens with Mustapha, which I think is very symbolic and indicative song for the entire album and what’s about to come. It’s confusing – it’s hard to find a handle of the song and where I stand with the song. It’s not necessarily bad, but just slightly alienating; but on the other hand, it sounds like no other Queen song. You have got to give Queen credit for keeping things fresh and vivid. However the songs are all fine, but some really fail to get that “Wow” moment which Queen regularly provides during most of their albums. That being said, despite it being one of Queen’s most famous songs – Don’t Stop Me Now stands out as true masterpiece on this record. One of the more notable things on the album it is mixpot of some many sounds and genres (which I think is the point of the album?). Which is great for the experimentation, but it’s hard to settle into the vibe and it keeps you on your toes; some may like this, but I find it hard to immerse myself to the album. They try to tie up all the strands in the final song More Of That Jazz by cutting into songs previously played on the album. Overall, a slightly disappointing album, but it’s got some great hits, some decent album tracks (If You Can’t Beat Them, Jealously etc.) and some pretty original songs. The only song which I don’t think is great, is Don’t Try Suicide, as it is a little cheesy and doesn’t come across very well. However this came out in 1980, where a lot of people struggled to talk about mental health and suicide awareness, so I think it gets a contextual pass for trying to create a conversation (albeit in a ham-fisted way). In conclusion, a truly magnificent album which I think is one of my all-time favourite albums. So this is a hard album to judge alongside the rest, as it is obviously a soundtrack to a 80’s sci-fi film. So it’s already in an odd place in comparison to the others. It doesn’t have the same structure as an album and has a lot more drawn out instrumental pieces, which is obviously very much part of the deal with a soundtrack. So it naturally loses some of the Queen sounds, but it is still very vivid, plus it gives you a full concept with recurring noises and motifs. It’s another of Queen’s albums which features experimentation and to see Queen do something different is really fascinating. However it’s not exactly like I’d sit down and listen to it. Again it fulfils the job it is meant to do and it conveys the story. Football Fight sounds like an arcade game, and it’s really has some awesome moments, but I won’t rush back to listen to the miscellaneous tracks. 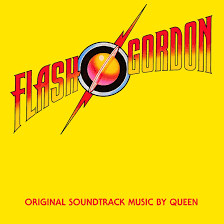 Overall it’s a great soundtrack, but not as great as Queen’s other work - yet it’s clearly carries the Queen quality trademark. In my opinion, Hot Space is a bit of a hot mess. It sounds very 80’s without the distinct Queen sounds. The lyrics aren’t great and the songs are very cheesy. 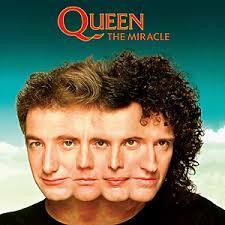 Although I think it has one of the best and most iconic Queen album covers. Okay, I’ll be honest, I hated this album when I first listen to it. However I relistened to it for the purposes of this blog and it wasn’t as bad as I remember. However It still is my least favourite Queen Album by a large margin. It’s an album of experimentation and sexual exploration, which doesn’t quite pull together (i.e Body Language). 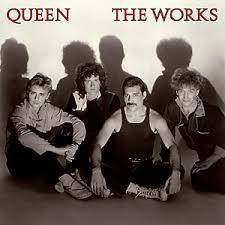 About half-way through the album (after Action This Day) it turns back into a Queen album and starts the great Queen sound, but infused with bits of Hot Space – Put Out The Fire is a great example for this - and I think it starts to build momentum, but finishes before it gets rolling. The Works is a good album, but struggles to be legendary, but has some heroic moments. This is a perfectly fine album, but at times it feels a little like Queen on autopilot. Some ABSOLUTE tunes like Hammer To Fall, I Want To Break Free and Radio Gaga, with a sprinkling of cool deep cuts like Tear It Up and It’s A Hard Life but everything else is perfectly fine. No real bad songs, but they lack some engagement and attractiveness of the other Queen songs. It’s one of the shorter albums and its always a delight, but I often find myself flicking to other albums after a couple of songs. A good album, but not my most memorable. This album features a lovely stream of massive Queen hits mixed with great album tracks too. They sew a beautiful undertone of seriousness to the classic Queen sounds (like Who Wants To Live Forever.) It feels that mature, authentic and touching that they were able to explore other areas with their music. It makes the album more of an experience and really makes the band very human, whilst delivering some massive tunes like One Vision and It’s A Kind Of Magic. It’s like a stadium show inside of the album. ﻿VERY INTERESTING ALBUM. I was very unsure where to place it and I’m sure when I publish this, I will want to change it again. I think I really love this album. It’s an album which seems very uncertain of what it is all about: it’s an album of where there are many different vibes and ideas. But I think that is what I find attractive. They aren’t interested in writing hits, but just a great Queen album. I don’t think The Miracle is a popular choice, but it has some truly delicious gems. I have never heard of Breakthru before this album and it blew me away. So did Rain Must Fall and Was It All Worth It? I think the whole album is really strong – which means there are few clear lulls or stand-out hits, but since the dynamic of the band is water-tight, it makes this collection a solid grouping. However that being said, there are high highs and low lows. The editing from the solo of the Miracle into the choral singing is a major clumsy sounding mess (but the rest of the song is great), yet I also think Khashoggi’s Ship is one of my favourite Queen songs ever. This album, at times, sounds like it is the album Hot Space wanted to be. It is fresh, compact and deeply enjoyable. An oddball of an album, but one I’ve come very close with. I think the reason why I rate the final three albums (The Miracle, Innuendo and Made In Heaven) very highly is that there is a lot of sentiment and emotion attached to it. The stories of Freddie being so ill to record, yet being able to create so many wonderful performance really resonates with me, and the significance certainly reverberates down each album, and this goes double for Innuendo. However, this does allow for certain filler songs to creep in (but for very understandable reasons). That being said, when this album works, it flies.The Show Must Go On, without fail, always sends shivers to me: it is powerful and emotionally potency. The fact that Freddie is able to knock it out the park under his circumstances, makes the album worthwhile. A sad album which is with flaws, but one which offers some huge rock hits and gives perspective on the recording process. This is Queen’s last album and it’s Mercury’s posthumous album. I think that significance really raises its position in the listings as the gravitas is embedded throughout. I really love Made In Heaven , it’s an emotional listen and it has some incredible songs. There are some tamer songs, but overall the album really holds it’s own. There is a hidden track at the end which has transcending noises. I particular don’t care for it, but I suppose it has a significance. I feel that the sentiment of the album outweighs the talents ever so slightly – do I only love this album because that is a tribute to Freddie? I don’t think so, but I also don’t care, I love listening to certain tracks and I think they are comparable to some of their big hits. Thank you for reading this essay. Long Live Queen!